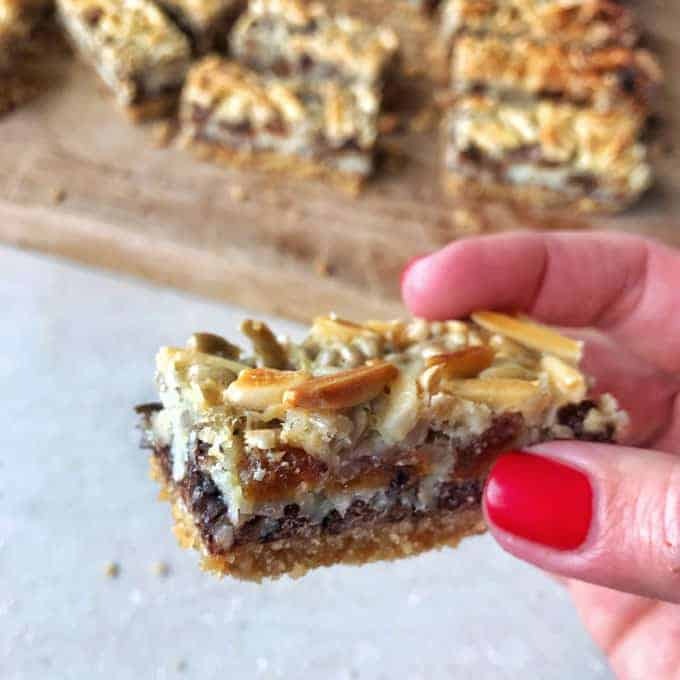 This magic slice is so delicious and easy to make it has a biscuit base that is layered with chocolate, coconut, dried fruit, almonds then covered in condensed milk and baked until golden. 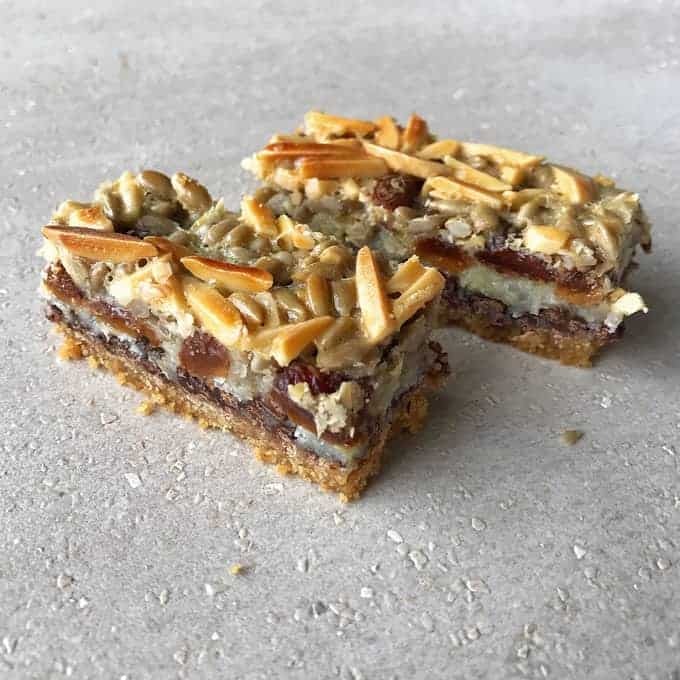 I came across this delicious slice at a cafe and I wanted to recreate my own version of it at home. 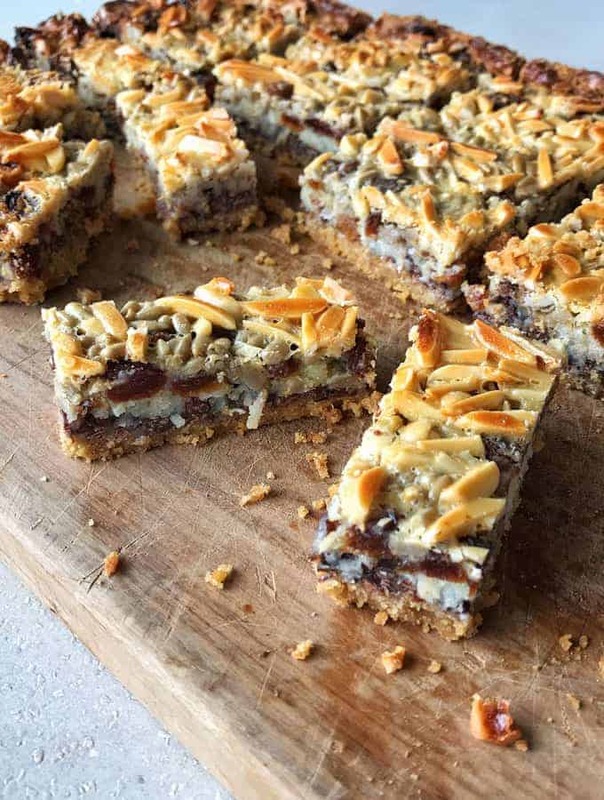 This magic slice contains a lovely buttery biscuit base followed by layers of chocolate chips, shredded coconut, sultanas, sunflower seeds, slivered almonds and topped off with a layer of condensed milk which (when baked) holds the slice together. Magic slice is so versatile you could swap the sultanas for any other dried fruit like apricot or cranberries. 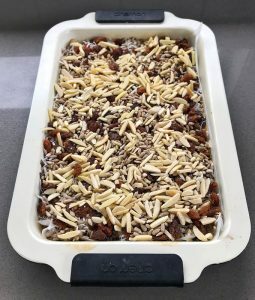 You could also swap the seeds and nuts for any others that you fancy, that’s the beauty of this slice, you can use whatever you have in the pantry. I used my food processor to crush the biscuits but you can use a rolling pin with the biscuits in a bag if you don’t have one. 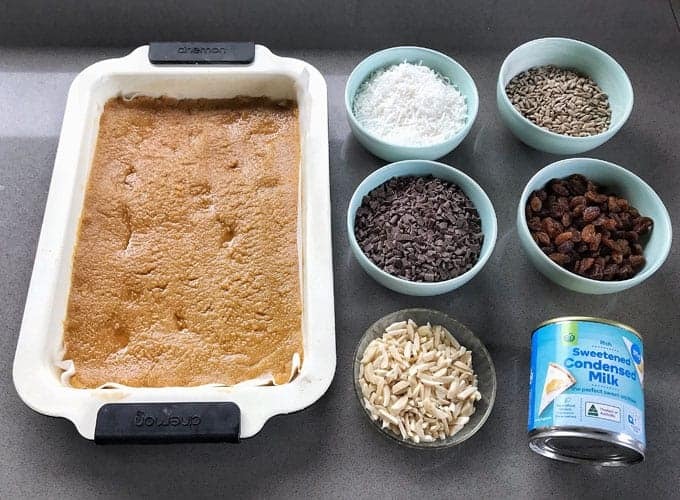 Once the base has been pressed into the tray you can start with your layers and then pour the condensed milk over the top which combines everything together and goes lovely and golden once baked. Keep your slice in an airtight container in a cool place. 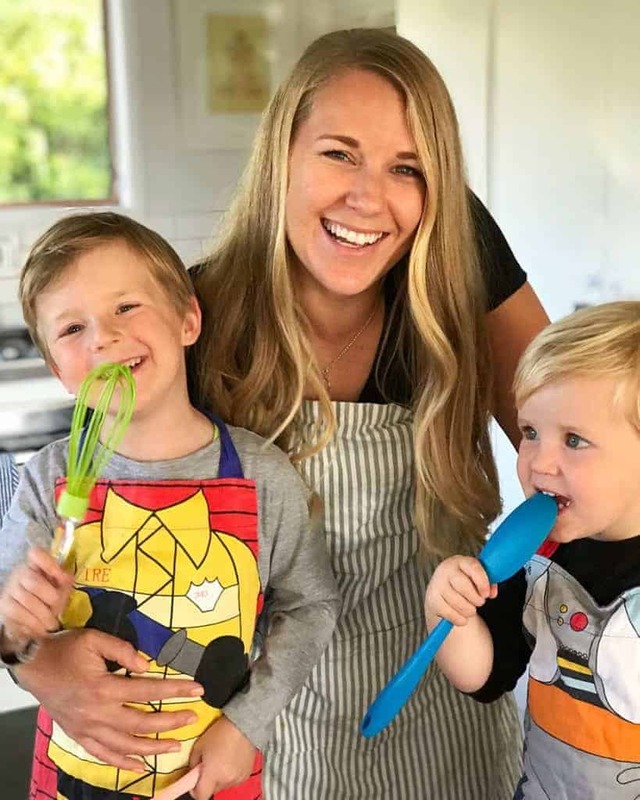 Magic Slice is a great lunchbox filler the whole family will love. 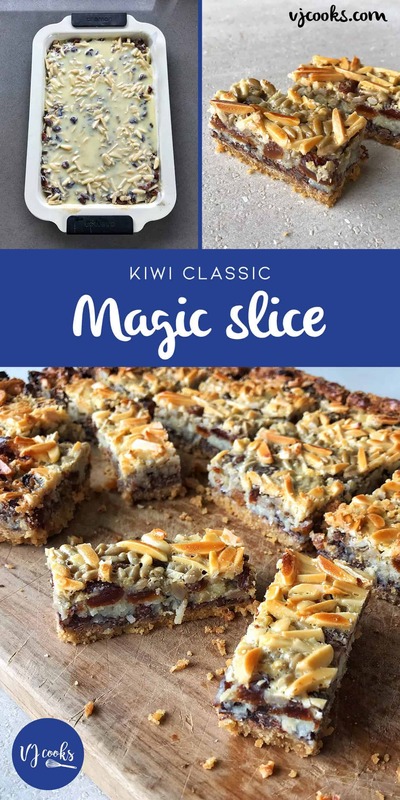 Lots of Kiwi families have their own versions of this easy slice and this one is ours. 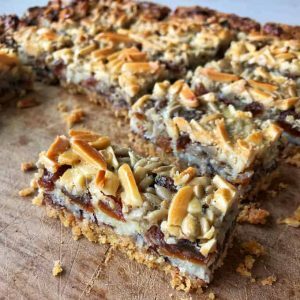 This magic slice is so delicious and easy to make with a biscuit base layered with chocolate, coconut, dried fruit and almonds. Pre-heat oven to 170° fan bake. Crush biscuits in the food processor, pour in melted butter and pulse until combined. 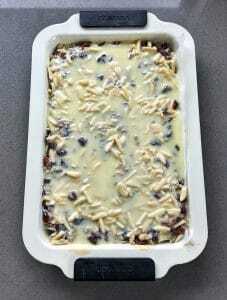 Line a baking tray with baking paper and pour in the biscuit mixture, push to the edges and flatten with a spoon. 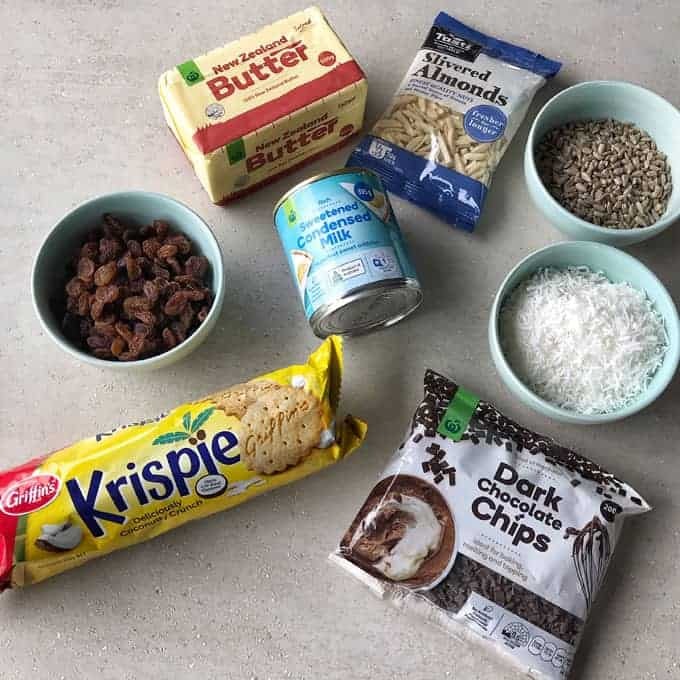 Scatter over in layers the chocolate chips, coconut, dried fruit, sunflower seeds and almonds then pour over the can of condensed milk. Bake for 30-35 minutes until golden, let it cool and then chill in the fridge until ready to slice. You can use Milk Arrowroot, Super wine or Malt biscuits in place of the Krispies.